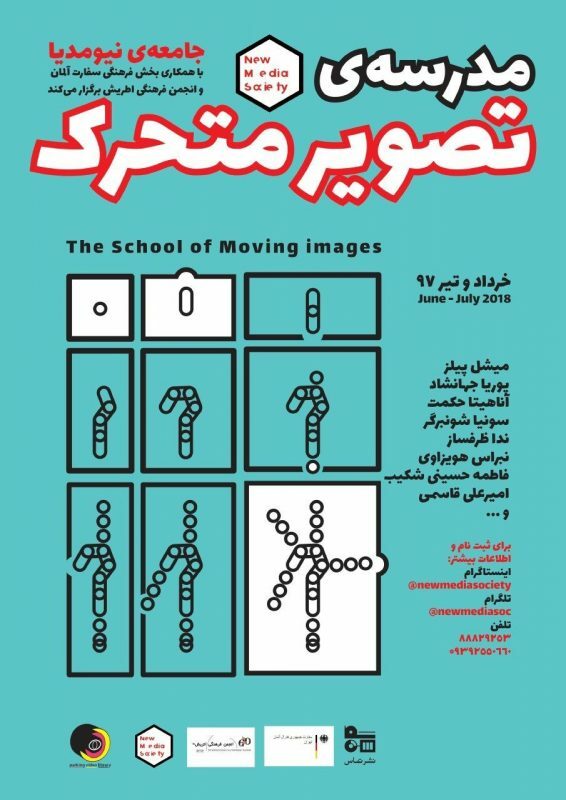 New media society is pleased to announce its first [summer] School of Moving Images to be held in June and July 2018. 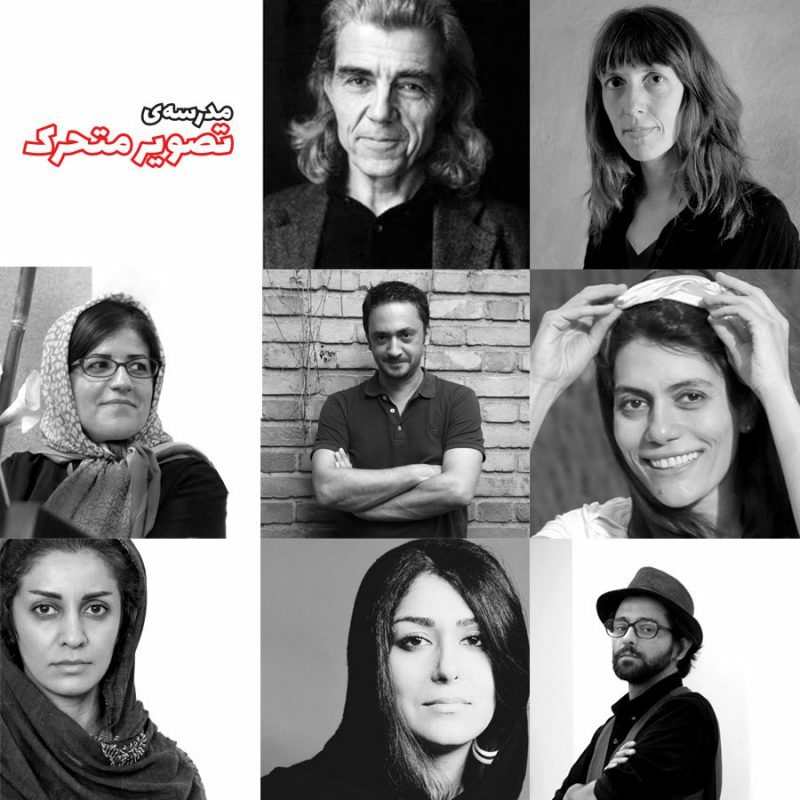 New Media projects in collaboration with Cultural section of German Embassy, Goethe institute and Austrian Cultural Forum in Tehran (OKF) will host a series of seminars, workshops, screenings and talks together with artists, filmmakers and lecturers from Iran and abroad. These programs offer a diverse selection of disciplines, working methods and mediums around the subject of moving images: from experimental cinema to video art and from animation to augmented reality. From using negative film to new technologies create moving images different working strategies from interview to found footage, and from video essay to expanded cinema. The school hopes to facilitate a space to share knowledge and experience in the absence of academic and professional institutions by tracing a wide range of topics such as the progress moving images in art history to the socio-political aspects of experimental cinema, by referencing key figures and art pieces. Parts of the workshop is also designed cover the practical/technical side of the medium, to help participants in the process of their projects, helping them to enhance their work by knowing more about editing and sound. Reaching to an understanding of experimental ways of expression and extending the medium’s definition and potentials by various means such as group projects, feedback sessions, and film screenings is the aims of this interdisciplinary summer workshop.